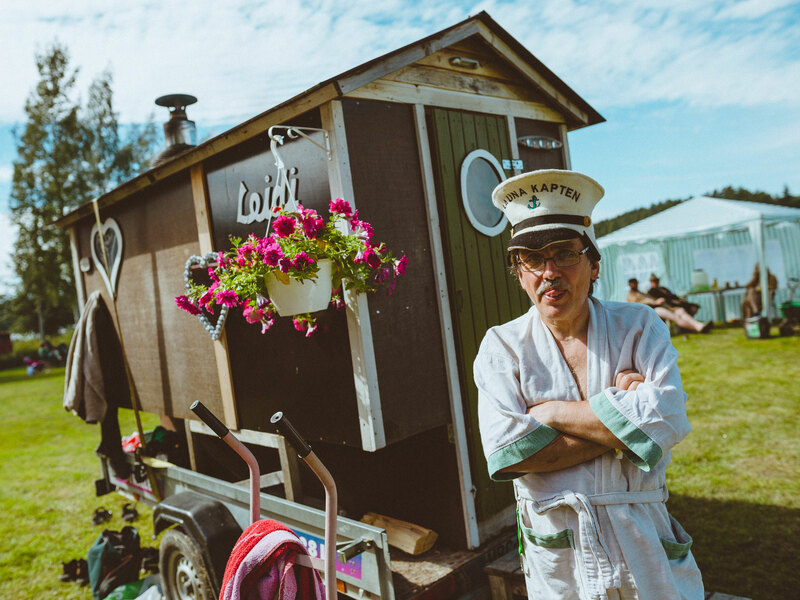 Finnish people love their saunas. It’s a religion, kind of. Well, that might be debatable, but disliking sauna is like a blasphemy in Finland. 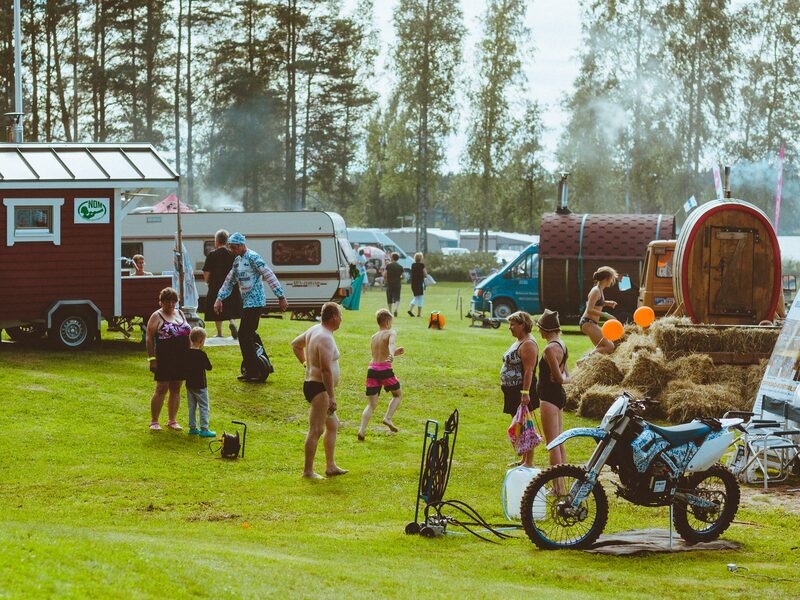 DUMBØ visited Sauna Grand Prix, an event held in Ikaalinen, which gathered together the latest innovations in the sphere of mobile-sauna community. 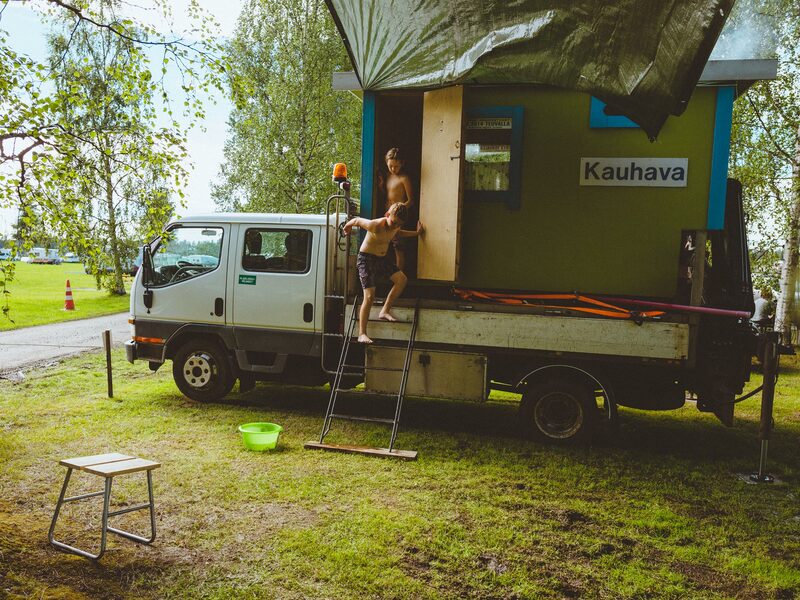 We learned, that with a little amount of Finnish stubbornness, you can build a sauna out of -what ever- if that is what you fancy. 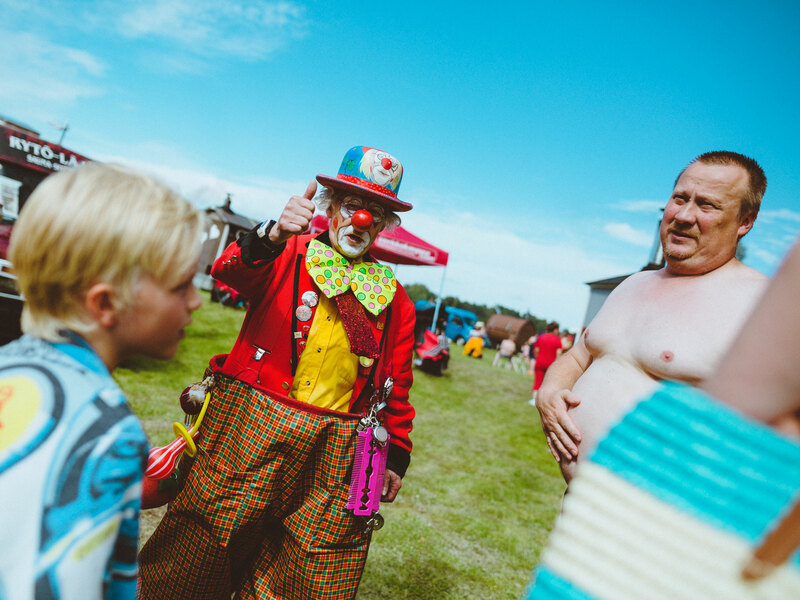 Here’s our photo report from the event of good vibrations. 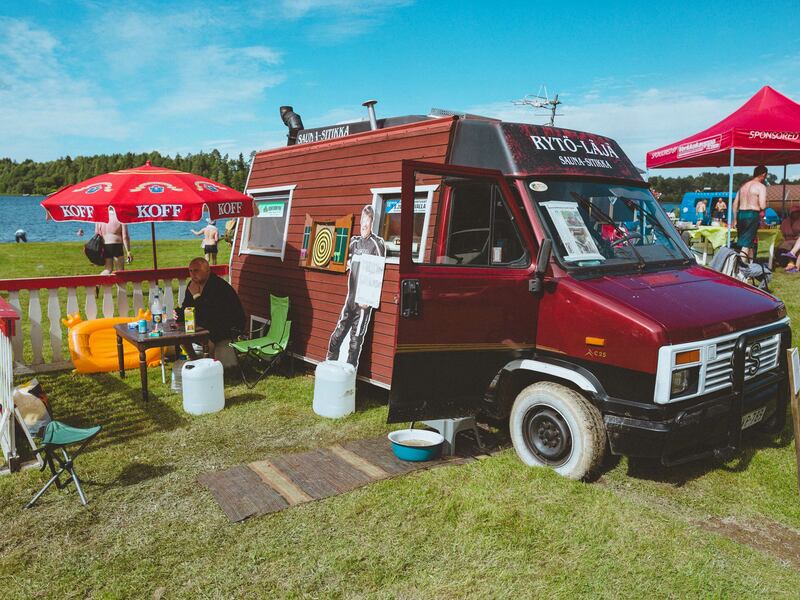 Mobile sauna owners from all over the country brought their masterpieces to the event. 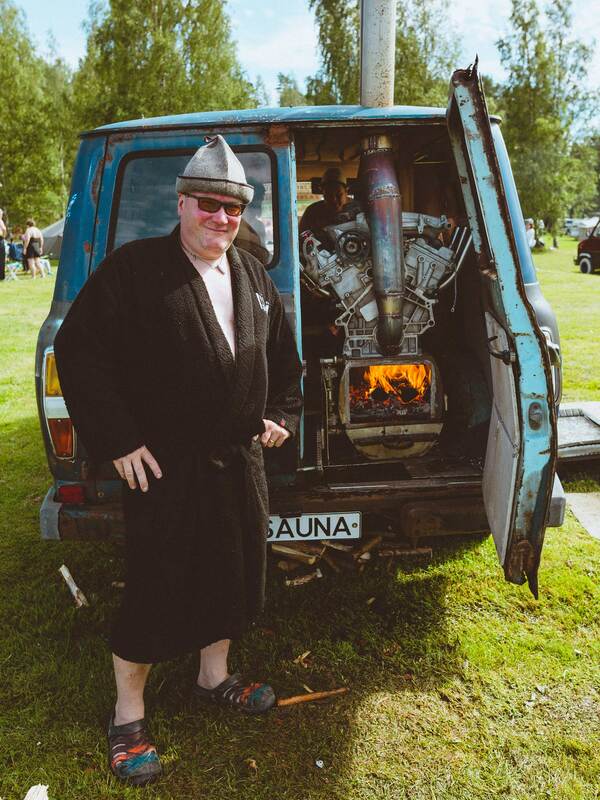 Sauna Kapten here had two saunas on his fleet. This one is called Leidi. 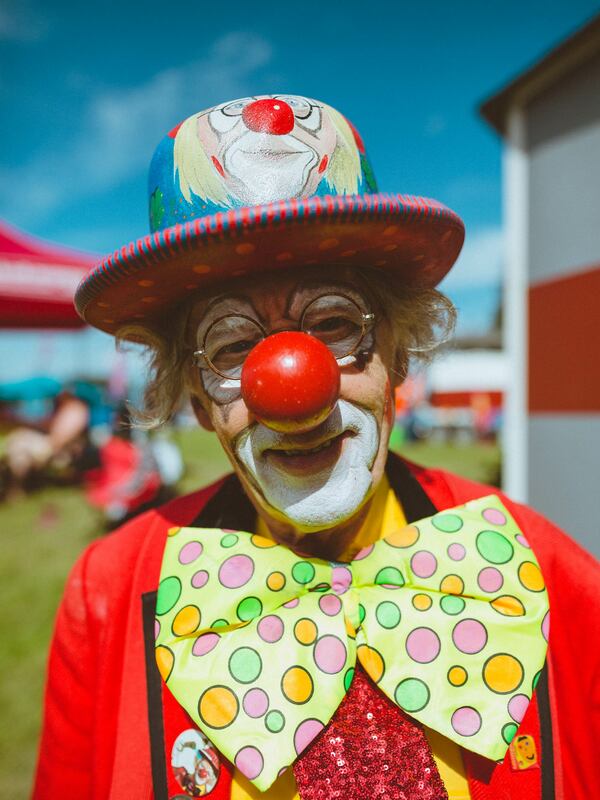 A friendly clown was there to give people the giggles. 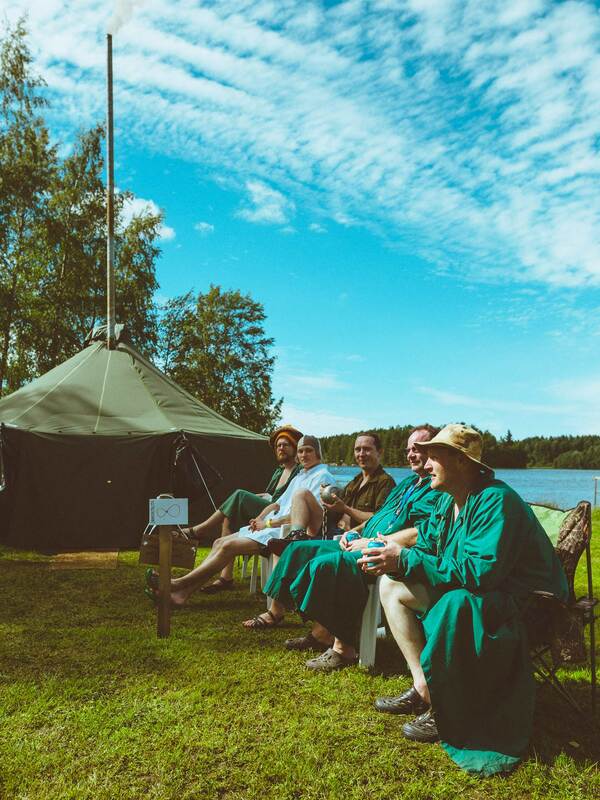 A military style sauna tent and a welcome committee. Proud owner of a rather unique heating system. 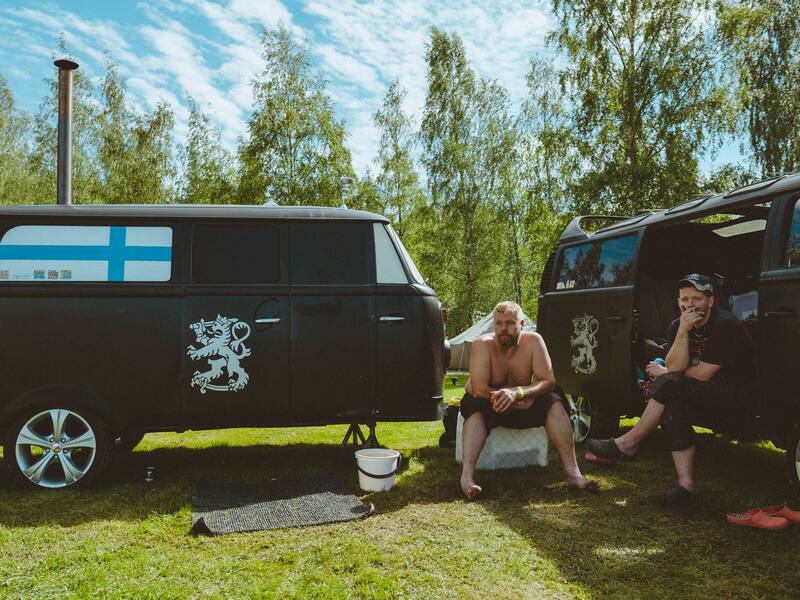 These BugRun veterans offered a sauna experience in a pretty posh Volkswagen. 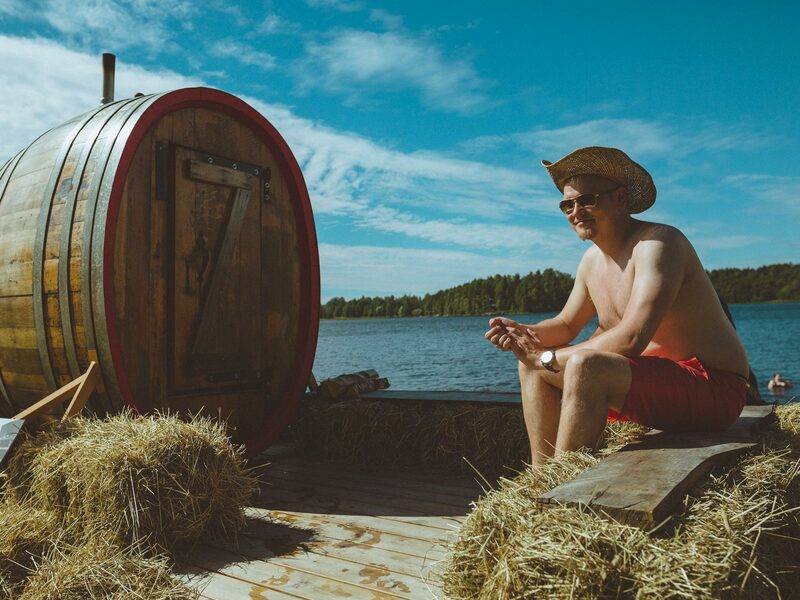 The other owner of the barrel sauna, build by two brothers. This one must be from Kauhava. It was most certainly an enjoyable day for everyone involved. Some of the saunas really reflected the laid back attitude of the Finnish sauna culture. 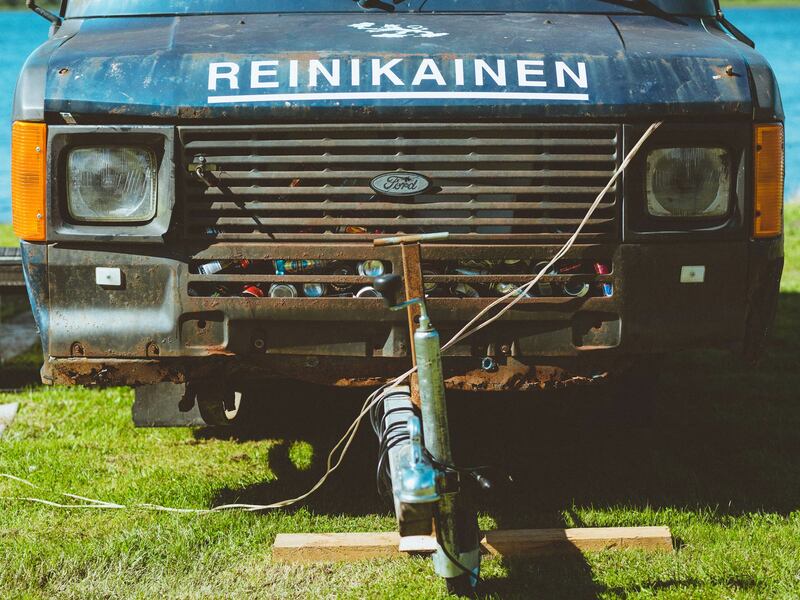 Reinikainen showing some attitude. "Löylyä, löylyä!" Sauna hat was the weapon of choice for many heat lovers. 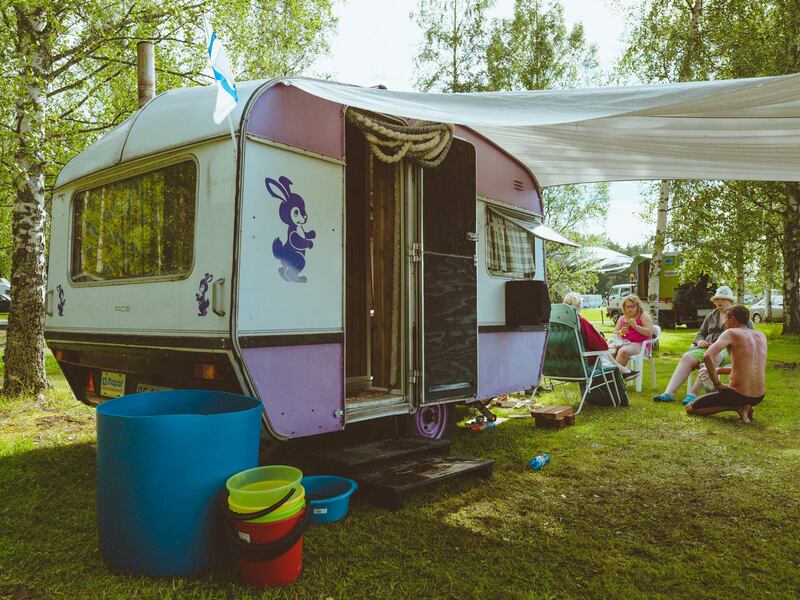 "Rytö-Läjä" had some decorations on its yard. This cutie fits two people and goes by the name of Bunny. A sauna equipped with a TV screen. What-a-place to watch the game with the boys. 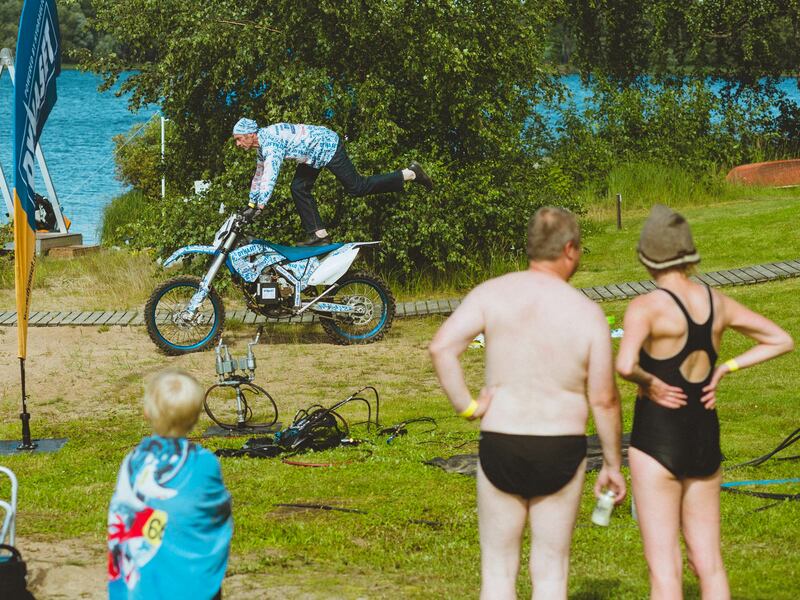 Sauna Grand Prix was a stress free zone.